The Flair Furnishings Flick triple bunk bed offers a standard UK single top bunk and small double bottom bunk with built in bedside shelving and under bed storage. 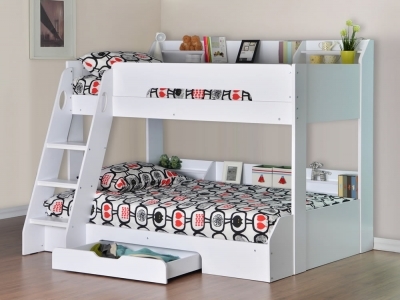 Designed to save space with storage and convenience in mind the Flick triple bunk bed is a popular choice for both young and older children. 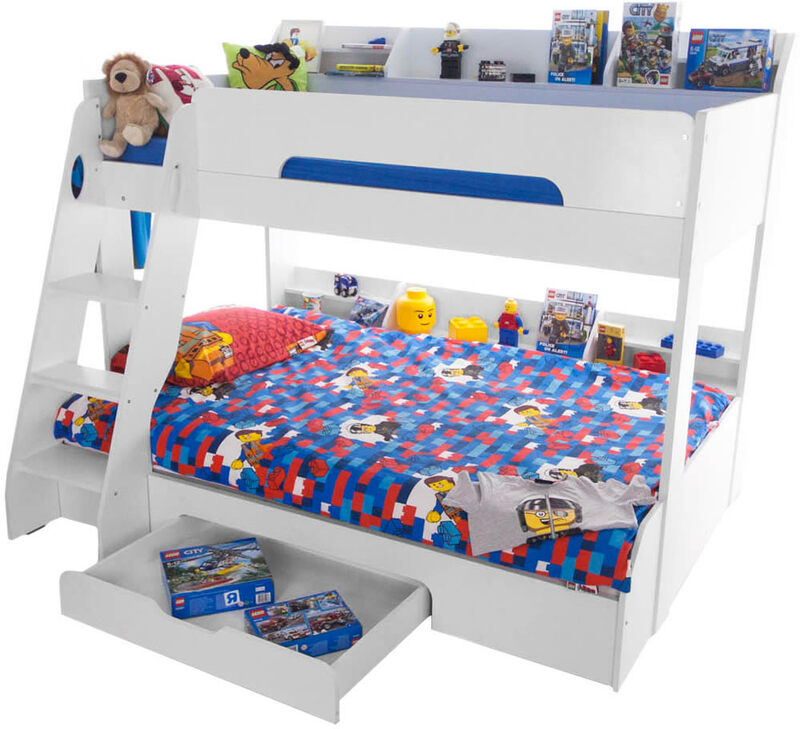 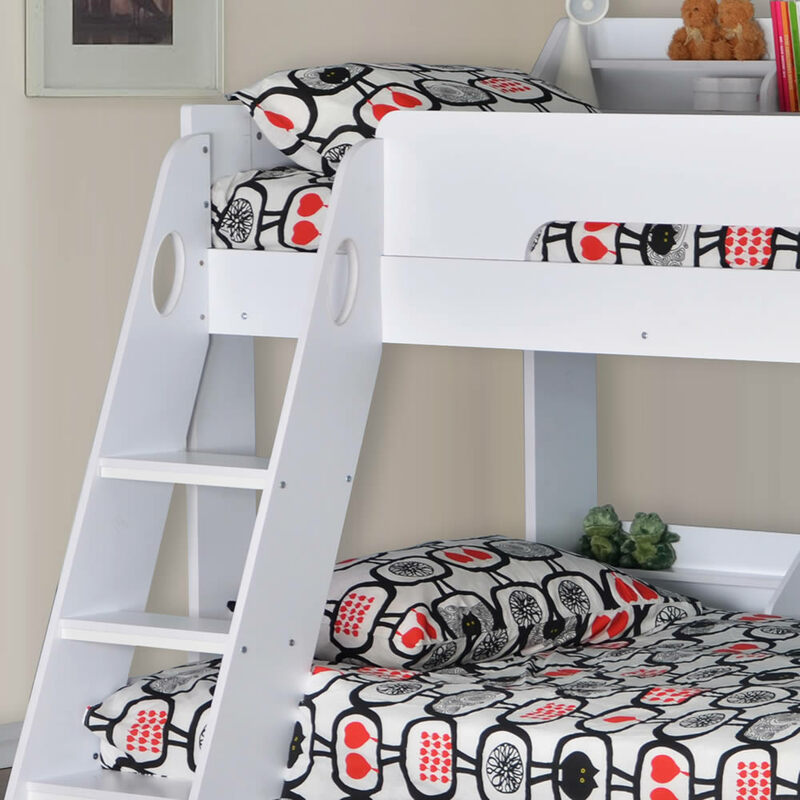 The standard UK small double bottom bunk bed is offset from the upper bunk giving more head clearance making it a perfect place to sit down and relax. 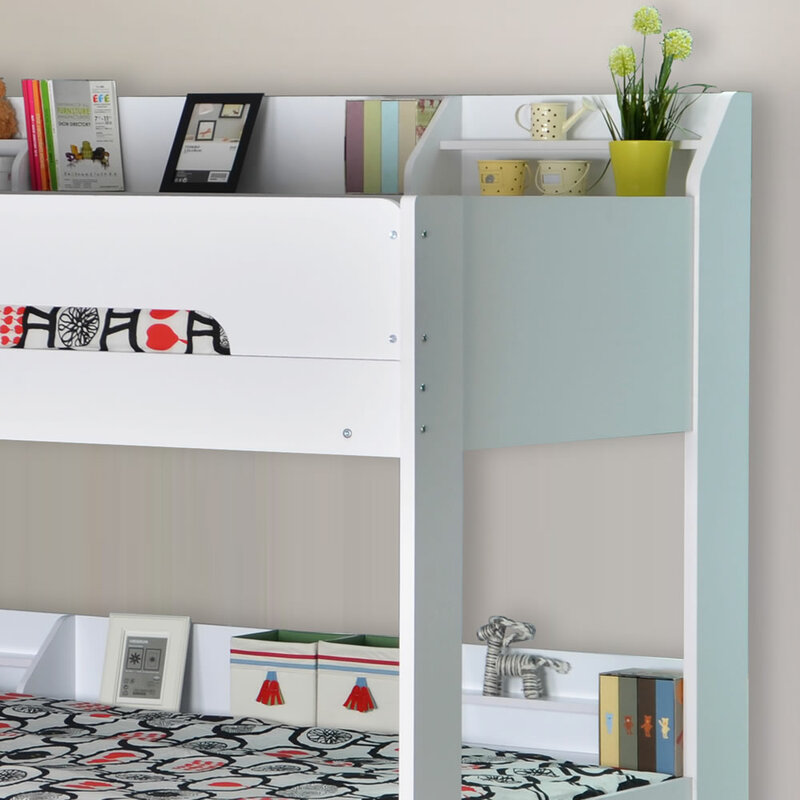 The built in bedside shelving goes the full length of both bunk beds and they are cleverly partitioned to maximise storage potential for a variety of items. 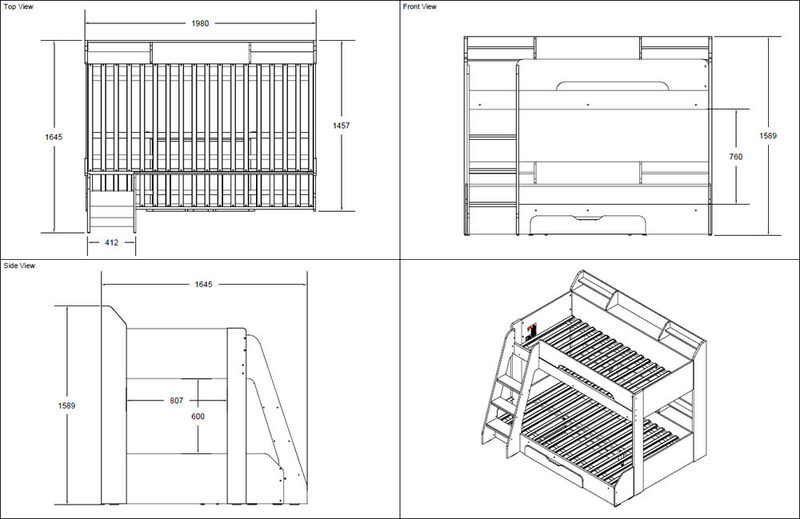 For extra safety and ease of use the step ladder features oval cut out hand holds, 3 deep steps and is slanted rather than vertical. 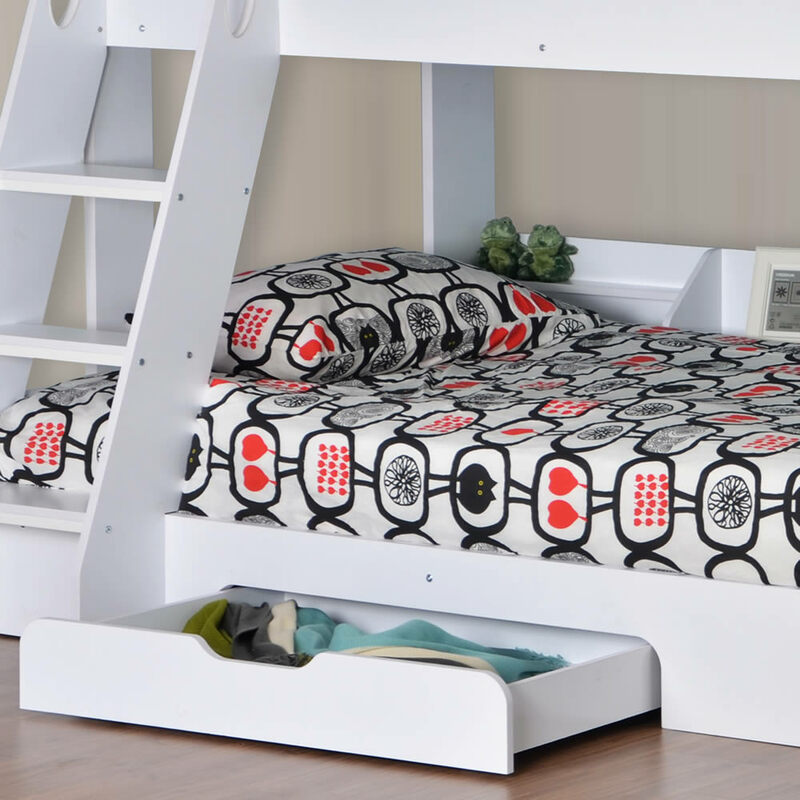 For additional bedroom storage the bottom bunk bed has a pull out under bed drawer 83cm wide by 58cm deep with a cut out handle free design.